Grasses are put to a multitude of uses by those involved in agriculture and recreation. They are also of importance to environmental biologists, for example those involved in restorative ecology. 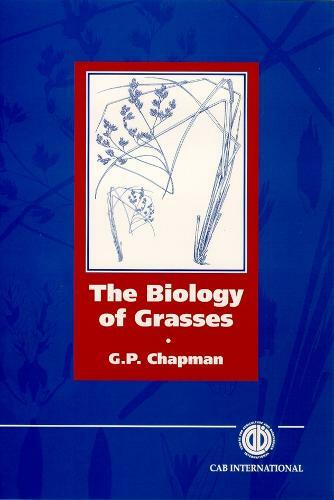 In this book the biology of grasses is illustrated by many different grass genera and species, drawn from both temperate and tropical zones. Beginning with a discussion of the role of grasses in a changing world, the author provides a thorough treatment of such topics as the generation and dispersal of grasses, their diversity, history, contrasting life styles, ecology and domestication. The text is supported by the inclusion of high quality line drawings and black and white photographs. There is also a thorough glossary of the terminology associated with grass science. This book bridges the gap between introductory textbooks and research and technical papers. It is an advanced level reference text for students and teachers of agriculture, plant biology and ecology. It is of particular importance to all those studying and researching the genetics, physiology and taxonomy of grasses. "There's much here for the economic botanist, including grass domestication...and an extensive review of theories of maize origin....There's an excellent glossary in this book, with those terms peculiar to bamboos given in sans serif type. Read the glossary first, then the book. And enjoy."